You are viewing something from our fan art gallery. Icelandic place names may sound exotic, but they're usually not very creative. 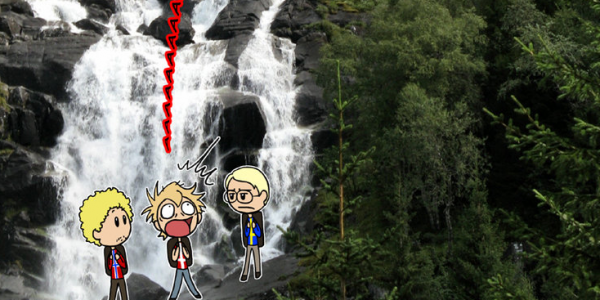 Example: The most powerful waterfall in Europe, Dettifoss, just means "falling falls"
They all look like varying forms of trouble to me, but I think Sister Finland would be the most help in a bar fight. Sister Sweden looks like she would cause the bar fight. Sister Iceland would film it and put that upon YouTube. Sister Denmark would call you an idiot, and Sister Norway would nurse you back to health. Wow! I just love how you drew them all, they look fantastic. Especially sister Sweden, she feels very Swedish in her appearance in a way I can't put my finger on. If you were to describe my personality, it would be these 5 all in one, and sometimes its just one. I know which one I'd want to talk to at a party. And which one I'd ought to. Iceland is so pretty and beautiful! 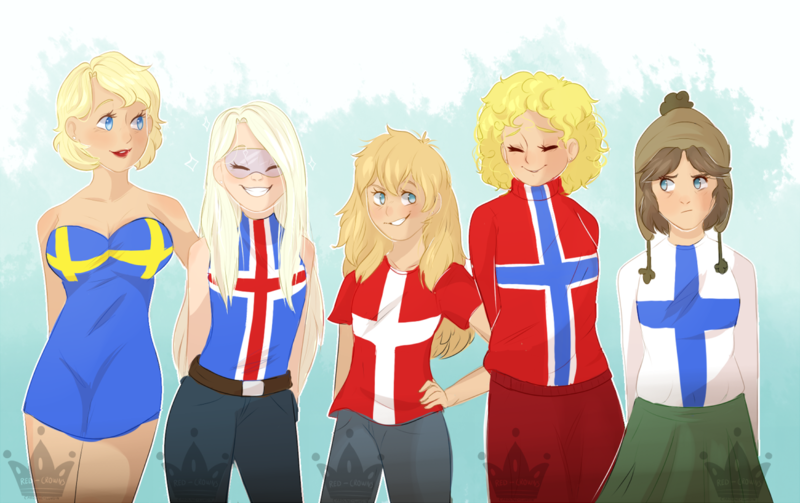 Sister Sweden looks so adorable! I loved this! Add comment: Please Sign in or create an accout to comment.